Smartphone giving you a headache? Cell phones work by relaying low levels of radio waves from their antennas to a nearby base tower. A cell phone emits microwave radiation within the electromagnetic spectrum. The electromagnetic fields emitted by cell phones were thought to be harmless as long as they complied with current FCC SAR guidelines, until recent studies have proven different. Peer reviewed and replicated research has proven over and over that current safety standards used by the FCC are worthless. Smartphone consumers getting headaches are an increasing problem for the wireless industry. However, if you feel a throbbing pain in your head after using a cell phone for only a few short minutes, consider yourself lucky. The damage is being done if you can feel it or not. Watch this video, I wish Jimmy was still around to tell you for himself, and he would be — if he was somehow alerted to the damage he was doing to his body from using his cell phone 30 minutes a day for over 10 years. Your head will never get over the pain a brain tumor leaves behind. 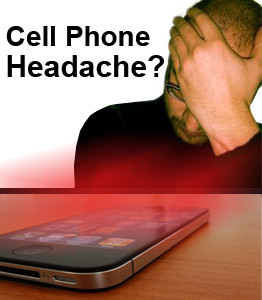 Many cell phone users report they experience headaches after using their cell phones. Which network the phone is on seems to make a difference as users report more discomfort using 4G LTE technology. Most people use their cell phones several times a day, so what is the result of the electromagnetic waves going to your brain? Studies show these waves do change your brains activity levels and a study in Sept 2014 proves that cell phone radiation invokes inflammatory reactions in cells. Just how RFR induced inflammation, or other RFR factors trigger each persons painful headaches is going to be different with each person. But what about a direct relationship to cell phones and headaches? A blind study was conducted with participants wearing a specially designed helmet that had a cell phone near the left ear. The helmet was designed to record brain activity while the person was wearing it. The cell phone signals were turned on for the same period of time that a person is normally on their cell phone. The brain waves were measured while the cell phone was on and while it was off. The participants were unaware of when the cell phone signals were turned on or off. The peer-reviewed journal Clinical Neurophysiology has just published research showing that 30 minutes of exposure to LTE cellphone radiation affects brain activity on both sides of the brain. When the phones were on, the researchers found increased activity in the cortical area of the left side of the brain. This portion of the brain is responsible for language and for movement. The increased activity in the brain continued for up to one hour after the cell phone was turned off. A study reported in the Journal of Sleep Research (Blackwell Publishing) found that 30 minutes exposure to electromagnetic fields, as from GSM mobile phones, caused changes to brain activity which lasted long afterwards. Dr Peter Achermann and colleagues from the University of Zurich, and ITIS, in Zurich, found that blood flow increased in areas of the brain on the side nearest the phone, and that this effect lasted for over half an hour afterwards. They also discovered that the brain?s electrical activity (?brain waves?) was not only affected immediately after the exposure, but that this lasted through much of the subsequent night?s sleep. Three Dutch ministries recently conducted a study that found that the radiation from the next generation cell phone towers can cause headaches and nausea. The study is the first of its kind and compared the impact of radiation from base stations used for the current mobile telephone network with that of cell towers for new third generation (3G) networks. The study used lower a dose of radiation than cell phones. Hand held phones emit stronger radiation when they are used, while cell towers transmit more constant levels of radio signals, exposing everyone within range. “If the test group was exposed to third generation base station signals there was a significant impact… They felt tingling sensations, got headaches and felt nauseous,” a spokeswoman for the Dutch Economics Ministry said. An epidemiology study conducted by Dr. Lennart Hardell found a higher incidence of brain tumors on the sides of heads used by mobile-phone subscribers to make and receive calls. The study was published in the August, 2002 issue of the European Journal of Cancer Prevention. The body of evidence showing the hazards of cell phones is more than sufficient to cause alarm, yet, public health organizations continue to stall while the cell phone industry builds more towers and makes Billions selling more phones. Just as the tobacco industry was able to hold back the truth regarding the health effects of smoking, the cell phone industry has prevented the truth about cell phone safety from reaching mass media. If you care about your health and the health of your family, take the time to educate yourself and have the courage to act on what you find. Next article Is Bluetooth Radiation as Dangerous as Cell Phone Radiation? 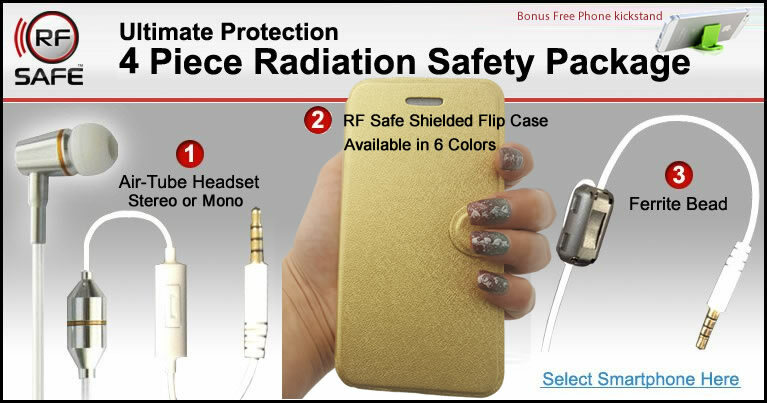 Previous article Ramon Rego, M.D., Can Cell Phone Radiation Slowly Kill You?